"I don't think as a society, let alone as a service, we have ever stopped to consider the impact of this job." 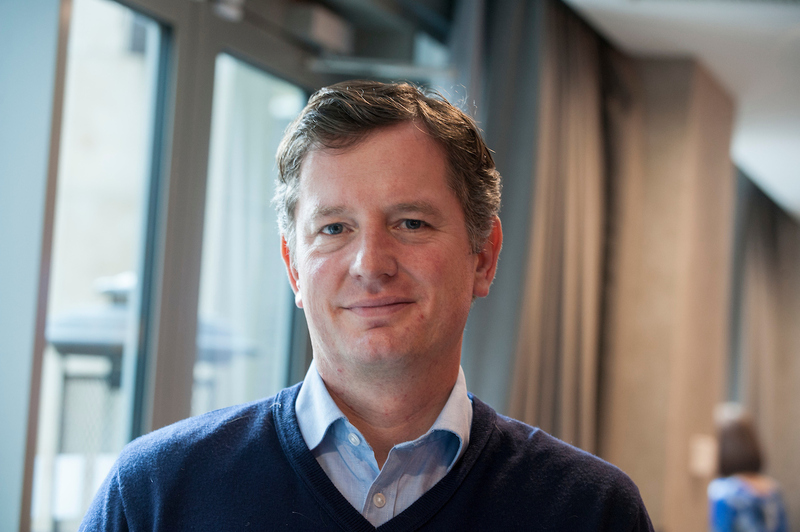 Just days after retiring on ill-health grounds, John Sutherland - or @policecommander as he is known to his 22,000+ Twitter followers - joined us in Manchester for our annual conference. Followers of John's blog will know him as a passionate police officer and an equally passionate advocate for officer wellbeing. In recent years he has spoken candidly about his experiences of depression and the 'drip-drip' effect of trauma on those working in policing. As a Federation, one of our main priorities is the welfare of our members, so we were pleased when John agreed to address our reps and delegates. "The stuff that we normalise as coppers remains extraordinary in almost every other walk of life." Speaking about his career and the incidents that have shaped him, John described how "it's never any one thing that knocks you down - it's a collision of factors". The wear and tear of police life, the demands of the job, bad management and the challenges life throws at us all leave their mark. John explained how he used to think that he could keep throwing himself into every professional (and personal) challenge life put his way and that he would have the resources to just keep going. He didn't. 2. All of us have our breaking points. "None of us is designed to absorb trauma without limits". The natural, human, healthy thing is to feel; the unnatural reaction is to lock things away and not confront them. There is nothing to be gained from bottling stuff up. 3. Rational, healthy self-interest isn't selfishness. If you don't look after yourself, you can't help those around you. John asked our delegates to think about the last time they went on a plane and reminded them of an essential part of the safety briefing: 'fit your own oxygen mask before helping others'. "As in airline safety, so it appears in life and especially in policing," he said. John spoke about how he had to learn to rest and told the room he feels we confuse the urgent with the important. Resting isn't sitting in bed late at night sending and receiving emails. "I love this job, but it's a heck of a job", John said. We need to understand the extraordinary demands it places on extraordinary people. John explained he will feel like progress has been made when mental health is no longer a thing; we just understand and accept that people need a helping hand sometimes. In particular, the impact on those who are exposed to it. Pressure and stress are two different things. People can thrive under pressure but working with excessive stress is unhealthy. 5. The difference between good leadership and bad management. The way we treat each other matters. John said: "Policing is about people. Everything that matters in policing is about people. Those we serve and those we serve alongside. As a boss, you can lighten the load, or you can add to it".